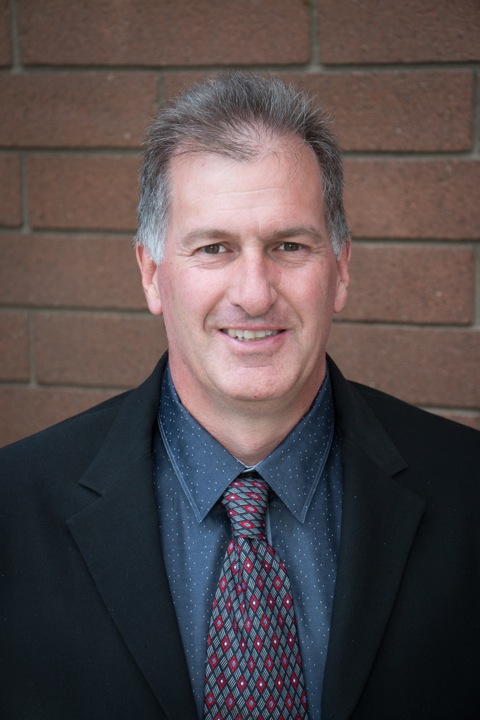 Candidate Rob Rennie is running for reelection to the Los Gatos Town Council. Rob is currently serving as mayor. With the recent wildfires to our North and South, including the one in Santa Rosa (my own parents were evacuated from their home) we have seen the need to increase our emergency preparedness programs. Our town recently partnered with the Santa Clara County Office of Emergency Services to provide help with our emergency preparedness training and the Police Department partnered with the County Fire Office of Emergency Services to provide community training on wildland fire prevention and evacuation. We also provided resources for families to create emergency plans and to register for upcoming Community Emergency Response Team (CERT) and Los Gatos Prepared trainings. We must increase our CERT program as a critical element of our Town emergency response plan. CERT members are trained to provide emergency support in their neighborhoods I strongly encourage residents to become CERT members. http://www.sccfd.org/community-education/emergency-preparedness/community-emergency-response-team-cert . Another powerful tool provided free of charge from the County is ReadySCC (Santa Clara County Disaster Preparedness Application). ReadySCC helps you create a family disaster preparedness plan. You can download ReadySCC for free from the App Store or Google Play. And lastly, many older adults will need our support in the event of an emergency. The Town recently received the World Health Organizations (WHO) Age-Friendly designation. To receive the designation, the Town was required to identify specific goals to enhance our community. One goal identified by the Town was “Emergency preparedness lectures and demonstrations specific to older adults. We will work with community partners to provide access and contributions of emergency supply kits.” To date our partners at Los Gatos Adult Recreation have programmed four emergency preparedness and home safety presentations this winter and spring. Traffic impact from booming economy in Silicon Valley is a major issue. During my tenure on the Council we created and finalized Master Bike and Pedestrian plan, implemented Safe Routes to School program, Introduced Green Bike Lanes to the town streets, and approved a pilot School bus program that will launch in January 2019. This is a good beginning but a lot more needs to be done. Implementing Master Bike plan will have a positive effect on our Safe Routes to School and will make the general public feel safe to ride their bikes. I will continue working to solve the beach drive-through traffic that uses Los Gatos as a bypass by spearheading a cooperative effort to make improvements to Highway 17 as well as continuing local efforts to minimize the traffic through our streets. I look forward to launching traffic improvements projects at Lark Avenue and Los Gatos Blvd designed to minimize morning commute back-ups getting on to highway 17. I will work for streamlined permitting process and push for a study to alter Santa Cruz Avenue for better parking and traffic flow, as well as a parking study to provide additional solutions, such as more parking, paid parking in certain areas, and the way the high school contributes to parking problems. Land use issues are very important and require a balanced and thoughtful approach. As a Council member I always hear all sides, look at all facts and make sure that any potential impact on the community are adequately addressed before making my determination on issues that effects our small town feel and ambiance. With the new state housing laws, the town is losing its ability to require residential developers to follow standards that are considered subjective in areas such as architecture, privacy, and view sheds. This is an area of concern for me because we may no longer be able to require a developer to amend design to preserve hillside views or address privacy concerns for the neighbors. We must create objective standards that will comply with the State requirements while protecting our small town values. I’m also concerned about the loss of the orchards and will continue to champion open space and parks. In Los Gatos we value the small businesses and their entrepreneurial spirt, which give our historic downtown its character. But there are many headwinds facing the success of running a business in downtown and the surrounding business district, including increased beach through-traffic and the growth of neighboring communities. In my first time I championed allowing music downtown until 10 PM to revitalize the area in the evenings. I worked to change outdated regulations in effort to remove the red tape, cost and the time burdens that limit our business’s ability to innovate and stay profitable. I encouraged our Chamber of Commerce to promote special downtown events that bring people in and keep our businesses thriving. We must update our Sustainability plan to keep up with tech and other innovations, such as carbon free electricity. We need to update our Greenhouse Gas inventory, last completed in 2012. In my first term, we did a great to deal to address our unfunded liabilities, such as setting up an IRS 115 trust and allocating funds to be invested toward pension liabilities. With increased budget savings, we were able to allocate $300,000 a year toward our OPEB (Other Post Employment Benefits) liabilities. Because of these efforts, we will be able to pay down our pension liabilities in 20 instead of the required 30 years. As a Chair of the Council Finance Committee I push to continue to put year-end savings toward chipping away at our unfunded liabilities, so that we have a sound budget and can provide needed Town services. Re-elect Rob Rennie to LG Council 2018. FPPC # 1405888.